Photograph by Iain Davidson, 2005 – Building formerly used as a mosque, Bourke, NSW. Via Flickr. I presented a slide of an Afghan cameleer’s mosque to a conference of art historians last year, noting that this was Australia’s most distinctive contribution to Islamic architecture. Some of them laughed. It was, after all, little more than a corrugated iron shed, stained and dented, a humble outback structure that serves its purpose and makes no claims to magnificence. Our “Afghan” mosques – made by skilled cameleers and traders from Afghanistan and beyond – are unique to Australia and they are remarkable. But should these 19th and early 20th-century regional buildings define our concept of a typically Australian mosque today? Because of these characteristics, we never hear arguments for a “Golden Age” in Australian mosque design. This is excellent, because “Golden Ages” are nostalgic reconstructions that encourage pastiche at best and fundamentalism at worst. Instead, Australian mosques can showcase the plurality that supports our open, multicultural, inclusive future. Mosques are part of the Australian suburban landscape. They have crucial roles to play in overcoming fears about Islam and supporting progressive values within Islam. The situation of Islam in Australia has been regularly and critically reviewed and will continue to be the subject of public conversations. Those who oppose the building of mosques – such as Pauline Hanson, most recently – don’t recognise their potential to support Australian ideals and represent our shared history. Whenever we move through the history of architecture, we find distinctive local forms. Mosques are no exception. This is a response not only to communities’ needs, but the prevailing systems of construction and accessible material resources. To define an Australian mosque, we start by making a choice. Should we look for case studies from the regional spectacular or the suburban vernacular to showcase our national heritage? This is essentially a qualitative/quantitative decision. The rare and surviving-against-the-odds mosques of the Cameleers support “bush” narratives of outback hardship, isolation, resilience, masculinity and bare-boned purposefulness. 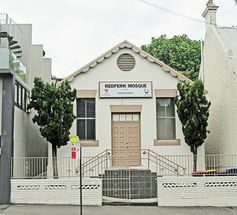 Our much more popular suburban mosques, of which there are currently over 340 in Australia (including around 167 in NSW), were usually built after the late 1970s. They offer quite different narratives. Some provide striking additions to urban skylines, but most are modest buildings, which make no claim to architectural fame. Another way to assess this decision is to ask which building is more likely to appear as commemorative history on Australian currency – the rustic Marree Mosque or the ornate Auburn Gallipoli mosque in suburban Sydney? Alternatively, which one makes you prouder to be Australian? For the purpose of this discussion, Australian mosques take three forms: the Outback, the Suburban, and the Future. These might also be regarded as the mythic, the diasporic, and the utopian. The first Muslim contact with Australia took place prior to 1720 through Macassan traders. They called the north-west coast “Marege”, and their influence can be seen through Indigenous art, language, and other objects. No Maccassan mosques are known to have been built in Australia. The adhan (call to prayer) also left no trace upon the soil, but as noted by historian Regina Ganter, some have argued the adhan echoes in Indigenous languages along places once visited by the Macassans. The earliest known mosque in Australia was built in Marree, South Australia, likely in the 1860s. Descriptions of the very first mosque in Medina (Saudi Arabia) suggest it was quite similar to this improvised building. Both featured a thatched roof, palm tree trunks, earthen walls, orientation towards Mecca, a place to wash, and a small minbar (which could be called a pulpit). There was no dome, minaret, mihrab (acoustic niche oriented toward Mecca), or muqarnas (a support for domes), despite their ubiquity in later mosques. What we see there today is a reconstruction from 2003. 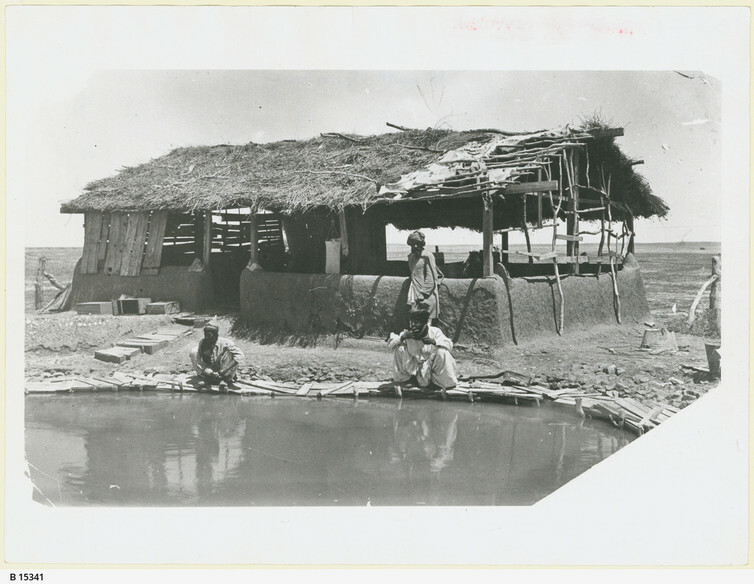 The last of the two original Marree mosques was dismantled by its custodian towards the end of his life, having seen no local successors to his role. Very few outback mosques are still in use today. Australia’s oldest extant mosque, once described as “the Afghan Chapel”, was built in Adelaide in 1888-1889. It is an important contribution to the history of Adelaide, consisting of a bluestone structure once accompanied by a floral garden and caretaker’s cottage. Four white minarets set it apart from its neighbours. 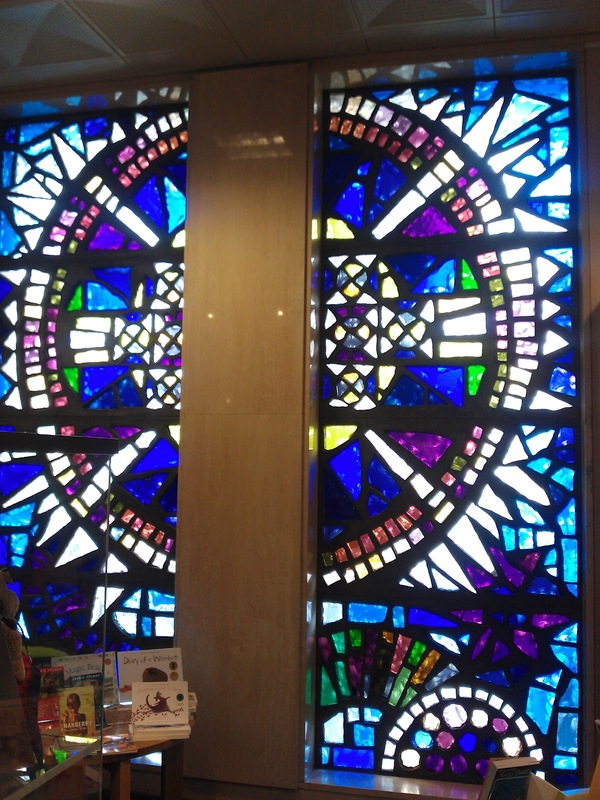 It is used by a cosmopolitan congregation, and its presence has not led to a drop in house prices! When I last visited, a real estate poster claimed you could “own a piece of Australian history” by living on this attractive little street. This mosque has served as the basis for important studies in architectural hybridity and assimilation. negotiation between Muslim and non-Muslim communities in Australia, showing how “an Australian-Islamic architectural identity” draws on diverse sources. Australia does not have a National Mosque. However, many nations do. The Negara Masjid in Kuala Lumpur is a useful example. It’s a postmodern and self-consciously contemporary mosque with invented characteristics unique to Malaysia. The structure draws upon the shape of a traditional Malay umbrella, opened to form a blue angular dome and closed to form a minaret. The mosque’s white Heros’ Mausoleum evokes the historic practice of placing distinguished burial chambers within mosques, but in this case it’s adapted to Malaysian ideas about statehood. Prime Ministers are buried under the dome – whereas national heroes (scientists and humanitarians, male and female) are buried just outside it. It’s rather like an alternative form of National Portrait Gallery. The opposite of a National Mosque is a reclaimed room. In Australia, the most low-key mosques are appropriated apartments or discrete spaces over shops, scarcely more than nondescript “prayer spaces”. The Cabramatta Mosque, for example, used to be a Vinnies. The Redfern Mosque mingles harmoniously with its neighbours. And several mosques around Australia used to be churches. There is a long and complex history of churches in use as mosques, including the majestic Hagia Sofia in Istanbul, the Umayyad Mosque in Damascus, and the Mosque-Cathedral of Cordoba. But recycled spaces can be indicative of marginalisation and minority disempowerment. This was demonstrated by Christoph Büchel’s well-known installation at the 2015 Venice Biennale, in which he opened a fully functional mosque in a disused church. It was the only mosque ever to have opened on the island of Venice, and it was closed by the Italian police after just three days. For an artwork designed to highlight the challenges facing mosques in Europe, it served its purpose exceedingly well. 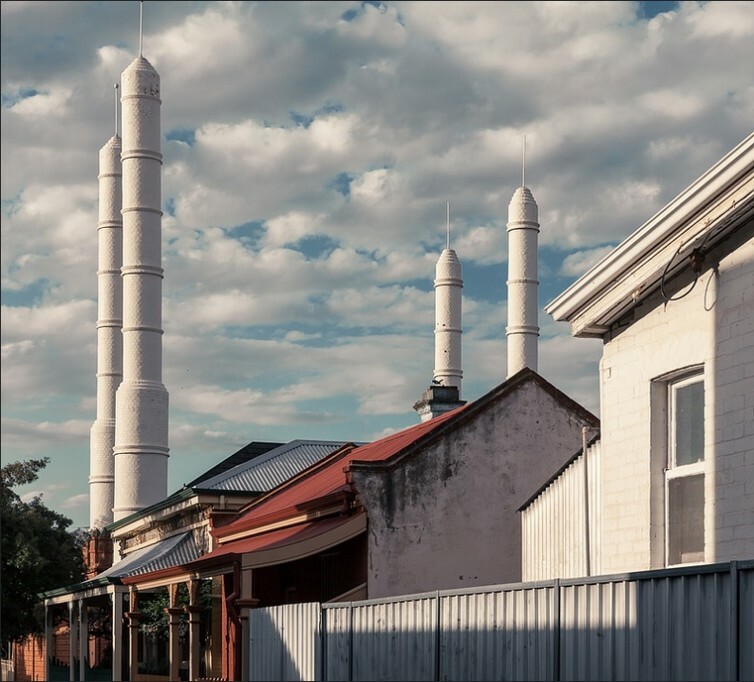 Australian suburban mosques have been supported by many migrating generations from around the world, resonating with migration (hijrah) as a formative narrative within Islam. 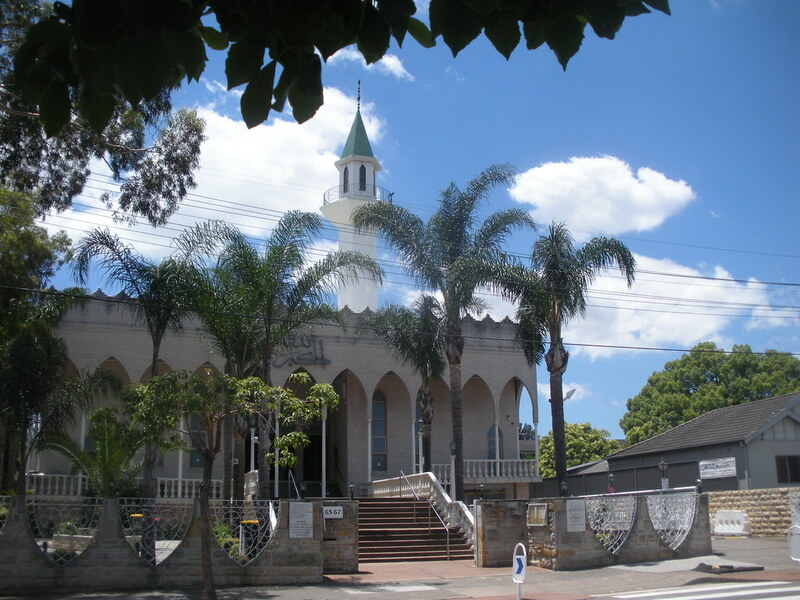 Examples of these might include the National Trust listed Auburn Gallipoli (reminiscent of the work of the celebrated Ottoman architect Mimar Sinan), Lakemba mosque (Sunni Lebanese), Arncliffe (Shi’ia Iranian), the Baitul Huda (Indian Ahmadiyya) and the Sunshine Mosque (Turkish-Cypriot), amongst many others. These buildings also reflect political support for multiculturalism in the wake of the White Australia policy. 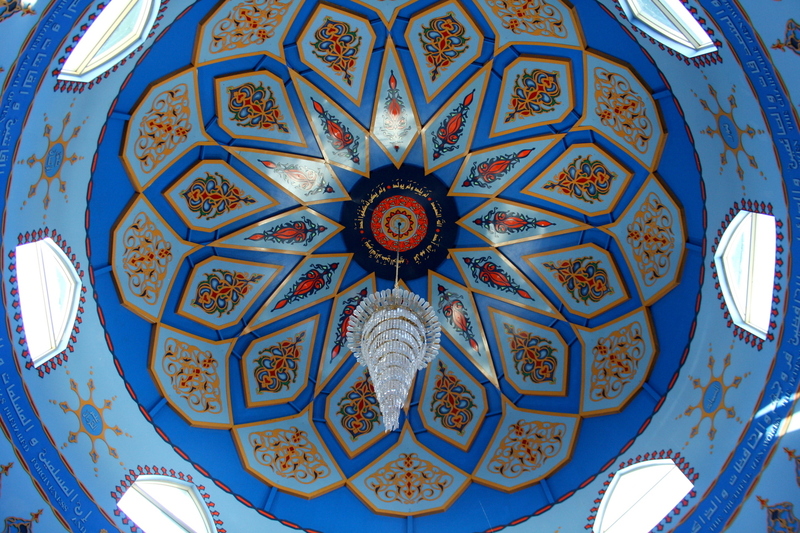 The dome inside Lakemba mosque. 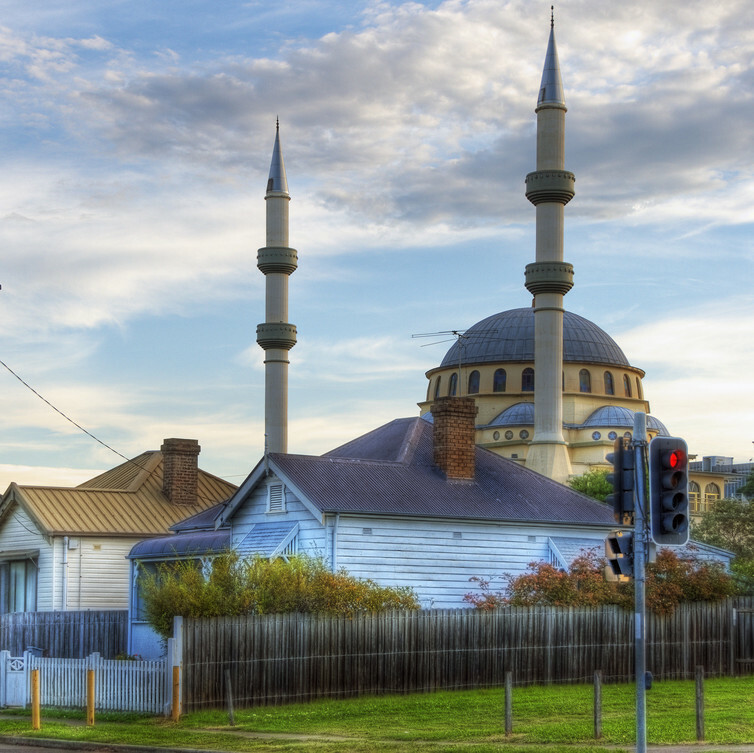 Though once defined by a particular community or ethnicity, suburban mosques are increasingly shared by diverse Muslim Australians. The future of the Australian mosque looks beyond ethnicity and origin to present an inclusive alternative. In his analysis of Muslim perceptions of Australia as a homeland, the theologian Salih Yucel noted the difference between watan al-asli (country of origin) and watan al-sukna (country of residence), alongside watan al-safari (country travelled through). 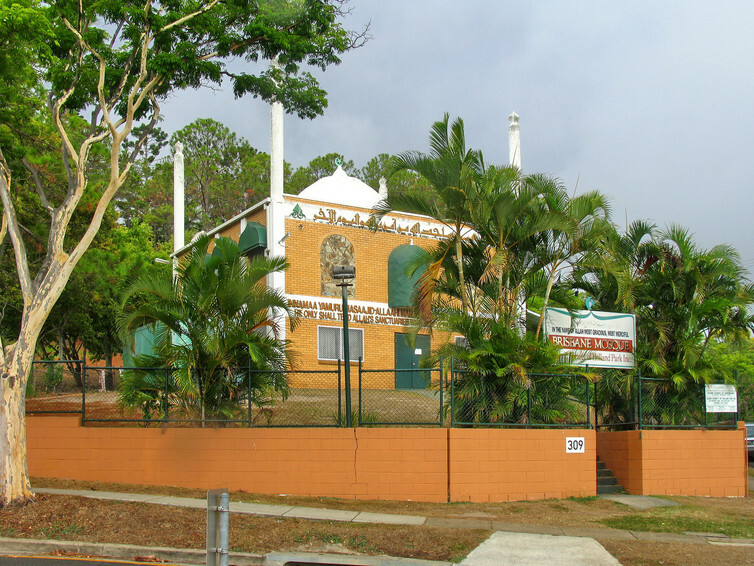 The suburban mosques I have listed tend to be evocative of watan al-asli, but the most contemporary Australian mosques engage with watan al-sukna. Both face divisive resistance from beyond the communities they serve, which complicates the development of mosques for urban planners. Two new Australian mosques are notably prominent in the Australian media, though the response to each has been very different. The development of a mosque in Bendigo has been contested and defended in a series of ongoing headlines. Discussion of the actual design of this mosque has been overshadowed by commentary around its right to simply exist. 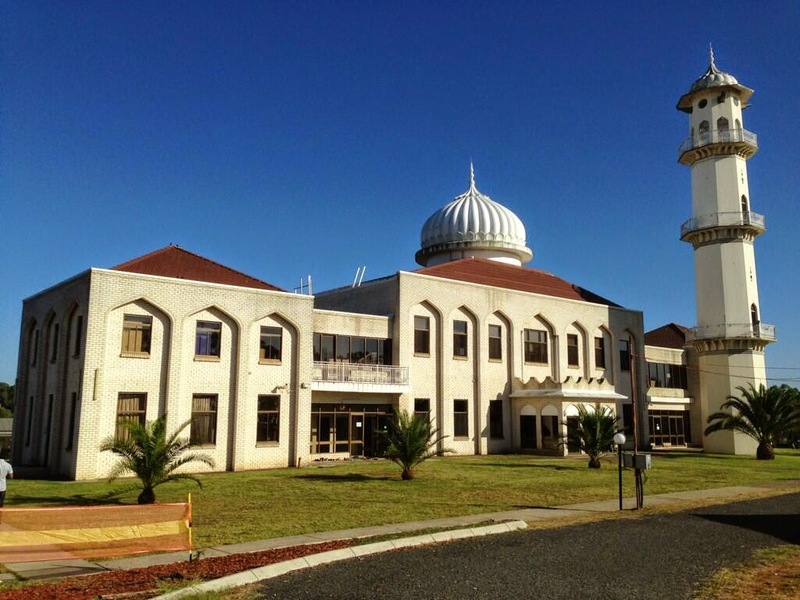 By contrast, the Australian Islamic Centre in Newport has been celebrated as a “progressive vision and enabler of intercultural dialogue in a multicultural society”. Designed by Glenn Murcutt and Hakan Elevli as “perhaps the first truly contemporary Australian mosque”, it is supported by an exhibition dedicated to its design at the National Gallery of Victoria (Architecture of Faith). 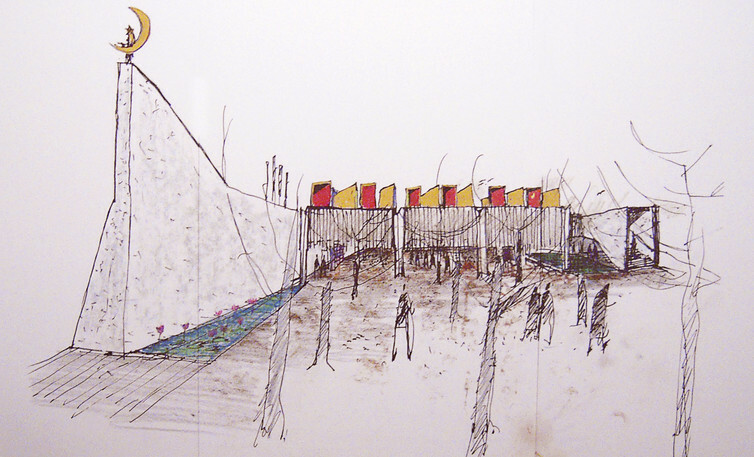 A public talk by the architects attracted a sold-out audience, and is now available online. Though it has been asked many times before, I still ask my design students how “Australian style” might be defined. They usually suggest “anything made by Glenn Murcutt”. This is what makes his collaboration in the design of an Australian mosque especially intriguing. 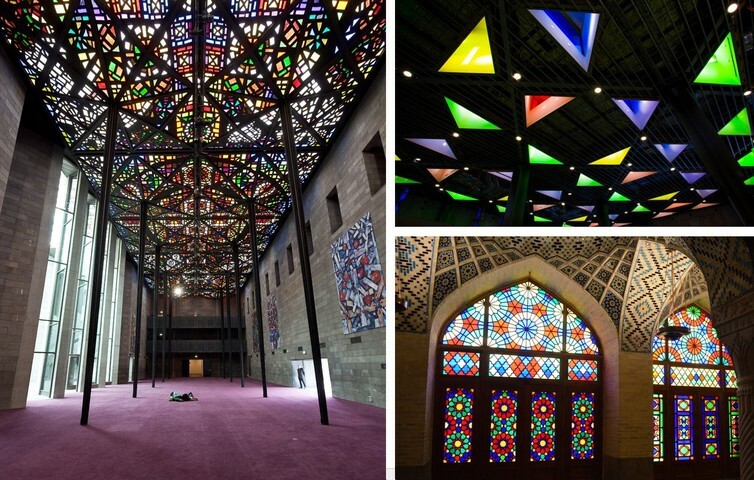 The coloured glass skylights are more reminiscent of the work of the Australian artist Leonard French – especially his spectacular ceiling in the NGV and vibrant windows in the National Library of Australia – than the famous stained glass windows of the Nasir al-Mulk mosque in Shiraz, Iran. The Australian Islamic Centre refers to the suburbs of Melbourne, not the distant relics of the Cameleers or emblems of the Ottoman Empire. It is an important contribution to Australian discourse on contemporary Islam, a role shared by the Islamic Museum of Australia in Melbourne. These high-profile buildings make spectacular statements. But an Australian mosque can be assessed by typicality, not exceptionalism. 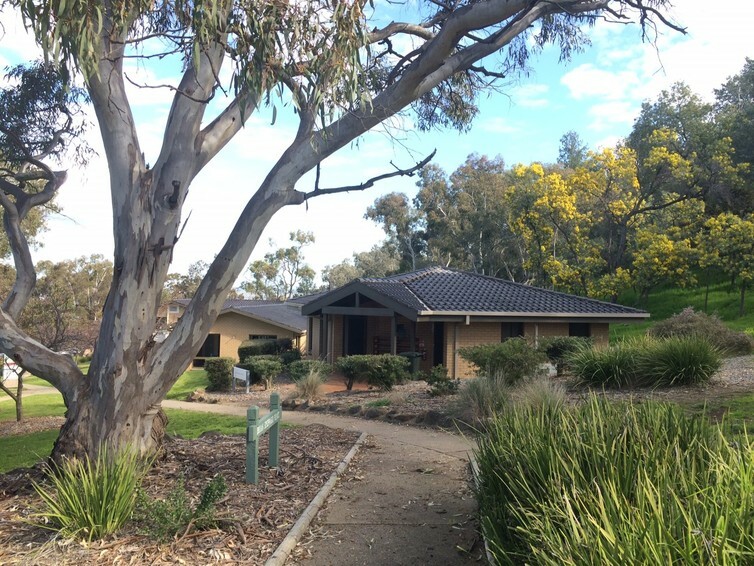 The Islamic Studies Centre of Charles Sturt University is an Australian mosque; both contemporary and vernacular, without claims for a past or future “Golden Age”. Designed by Marcie Webster-Mannison in 1995, it is a safe space that reflects the buildings nearby, subtly oriented towards Mecca, set in a beautiful, discrete location with a sublime view. Like most Australian architecture it does not punctuate the skyline. Like every other building on campus, it serves students and academics from Australia and around the world. Mosques are a normal feature of our cities, though they are yet to be seen as typically Australian. This is odd given that references to Islamic architecture are actually quite common in the history of Australian design. Given that the theme of this year’s international Historians of Islamic Art conference is Regionality, it’s time we noted Australia’s unique contributions to the past and future of Islamic architecture. Mosques form an important part of this conversation. Sam Bowker will be online for an Author Q&A between 12 and 1pm on Friday, 23 September, 2016. Post any questions you have in the comments below.